Are you a person who has a keen imagination, a deep inner life, and vivid colorful dreams? Do you need time alone on a regular basis? Do people who know you say you are “too sensitive”? Do your feelings overwhelm you? Are you deeply moved by music or art? If you answered yes, you may be a Highly Sensitive Person or HSP. In her series of books, the author, Elaine Aron, details the experiences and challenges of the approximately 15-20% of the population who are highly sensitive persons or HSP’s. HSP’s process information from their 5 senses more carefully. Your nervous system is just more sensitive to subtleties. Your brain processes this sensory information more quickly and reflects upon it at a deeper level. This leads many HSP’s to be intuitive, creative, compassionate, and very conscientious workers. Unfortunately HSP’s are more easily overwhelmed, and sensitive to noise. As an HSP, you may be overstimulated more easily than other people. You may feel stressed out, and have problems with crowded public areas and social events. You may also be prone to anxiety and depression. In my clairvoyant counseling practice, I have many clients who are HSP’s. With each of them I have worked to empower their gifts, and to help them to open and radiate their true nature. The more we are in touch with ourselves, the more we feel our inner desire to know and be who we truly are. We want freedom to live as we are supposed to live, to fulfill our soul’s potential. When we don’t, we suffer. However that suffering is a hunger for our true selves to live and to be free; it is a message that we want to return to our true nature. The 2 most recommended essences for HSP support are Walnut and Yarrow. Flower essences may be found at most health food stores,or ordered online from many different vendors. Walnut Flower Essence is the remedy to help protect against outside influences in general, and against the effects of change in particular. Walnut types are people who are fulfilling their purpose in life but, feel influenced by the opinions, theories or beliefs of others or of external circumstances in general. This may lead them to doubt their path. 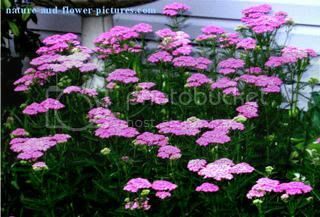 Yarrow Flower Essence – As the soul becomes more spiritually open, it necessarily becomes more refined, sensitive, and absorbent. In the past many of those on spiritual paths were removed and protected from the daily conditions of living, so that the soul could safely harmonize and expand its boundaries. Modern conditions require that the path of spiritualization be connected to the physical world and to practical responsibilities. The subtle healing properties of flower essences restore equilibrium on all levels of being: physical, emotional, mental and spiritual. They can enhance personal development and are a powerful aid to transformation. They offer us the opportunity to address outworn behavior patterns and negative states of mind which may contribute to or cause disease, emotional imbalance and spiritual disharmony. By stimulating the body’s inherent ability to heal itself, flower essences restore order from a higher level and help to strengthen desirable or positive qualities such as courage, inner peace, love and acceptance.